UNITED NATIONS, Aug 17 2015 (IPS) - As hackers continue to rampage through closely-guarded information systems and databases with monotonous regularity, there is a tempting new target for cyber-attacks: the world’s nuclear facilities. A warning has already been sounded by the International Atomic Energy Agency (IAEA), which has urged the world community to intensify efforts to protect nuclear facilities from possible attacks. The United States, whose defence networks at the Pentagon and also its intelligence agencies have already been compromised by hackers largely from Russia and China, is increasingly concerned about possible cyber-attacks by terrorist organisations – specifically the Islamic State (IS) with its heavy and sophisticated presence on social media. Ironically, the United States reportedly collaborated with Israel to launch a virus attack on Iran’s nuclear enrichment programme years ago. Tariq Rauf, director of the Disarmament, Arms Control and Non-Proliferation Programme at the Stockholm International Peace Research Institute (SIPRI), told IPS nuclear power plants and the nuclear industry rely intensively on computer systems and computer codes. “Any corruption, malware or targeted attacks potentially could have catastrophic consequences for nuclear safety and security,” he warned. In this regard, he said, it is deplorable that Israel and the United States targeted Iran’s uranium enrichment programme in past years with malware and viruses, thus initiating unprovoked cyber warfare, he added. Stuxnet, the computer virus introduced into the Iranian nuclear programme by these two countries, has now escaped into other programmes in other countries, said Rauf, the former head of IAEA’s Verification and Security Policy Coordination unit. “This clearly demonstrates that cyber warfare agents cannot be contained, can spread uncontrollably and can potentially create many hazards for critical infrastructure in the nuclear field,” he said. He said cyber warfare at the state level is much more dangerous and difficult to defend against than cyber-attacks by hackers, though the hacking of nuclear safety and security systems by amateurs or criminals also pose major risks for radioactive and nuclear materials. The answer, he said, is political. “We need to drain the swamp and stop developing technologies that are vulnerable to catastrophic attacks,” said Rydell, former senior counsellor and Report Director of the Weapons of Mass Destruction (WMD) Commission. 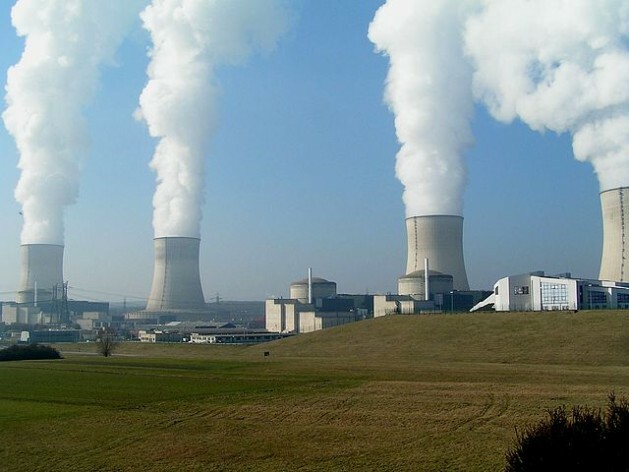 IAEA’s Amano pointed out that last year alone there were cases of random malware-based attacks at nuclear power plants, with such facilities being specifically targeted. He said staff responsible for nuclear security should know how to repel cyber-attacks and to limit the damage, if systems are actually penetrated. “The IAEA is doing what it can to help governments, organisations, and individuals adapt to evolving technology-driven threats from skilled cyber adversaries,” he added. At the next IAEA ministerial conference, scheduled for December 2016, one of the topics for discussion should be how best to elaborate a Code of Conduct for Cyber Security for the Nuclear Industry. “This is something that we look at very, very closely,” he said, pointing out that U.S. Cyber Command, as well as its interagency team, is working on this. “And, quite frankly, it is looked at on a day-to-day basis,” he added. In one of the major breaches of security, the U.S. Office of Personnel Management, which maintains security clearance for millions of federal employees, was one of the targets of hackers last year. “The threat we face is ever-evolving,” Josh Earnest, the White House press secretary, told reporters last June. “We understand that there is persistent risk out there and we take it seriously,” he added. But cyber-attacks are also increasingly a policy decision by governments in the United States, Western Europe, Russia and China, as a means of fighting back when attacked. SIPRI’s Rauf said the IAEA is recognised as playing the central role in setting nuclear security standards for peaceful nuclear activities and has issued guidance documents in this regards for operators of nuclear facilities. Addressing the IAEA International Conference on Computer Security in a Nuclear World, held in Vienna on June 1, Amano correctly drew attention to the risks and dangers of actual or attempted cyber-attacks against nuclear power plants and the nuclear industry, he noted. Amano said that “computers play an essential role in all aspects of the management and safe and secure operation of nuclear facilities, including maintaining physical protection, and thus it is vitally important that all such systems are properly secured against malicious intrusions”. As the cyber threat continues to increase in severity and sophistication, so does the pace of the Administration’s efforts, the White House noted. The article fails to mention the global tension that emerged upon the release of the US Stuxnet cyber warfare attack on Iran’s nuclear program back in 2010. This article fails to draw the larger issues together that the Snowden releases point to in that we are looking at a new cyber warfare era where governments are not being defensive, but in full offensive stealth mode. There has been no attempt to mount a treaty process internationally to curb this new brand of warfare from moving forward, yet this could very well be the new version of a first strike that could take down a country’s infrastructure leaving it defenseless. kindly we need this in kenya.